Shed the stress of the Paris streets with a massage in the comfort of your plush room, or read a book in the leafy courtyard. The heart of cultural Paris, surrounded by famous cafes frequented by all the greats, museums and show stopping shopping! Café Laurent has been the gathering place for literary giants (Sartre, de Beauvoir, and Camus) since the eighteenth century. The whole of Paris is at your feet. Parking on site at EUR 35 per day. Children of all ages welcome, plus duplex lofts are perfect for families. Well informed and incredibly helpful. The famed Louvre is just a few minutes stroll from this central hotel. After a long days sight seeing rejuvenate yourself with relaxing in-room massage. Enjoy a lively jazz evening in the hotels historic Café Laurent bar, one of the first coffee houses in Paris. Enjoy the complimentry bicycles and explore the city of love. A scenic ten minute walk towards the river brings you to Notre Dame Cathedral, a Paris must see! The best shopping in Paris is right on your doorstep at St Germain, impossible to resist! 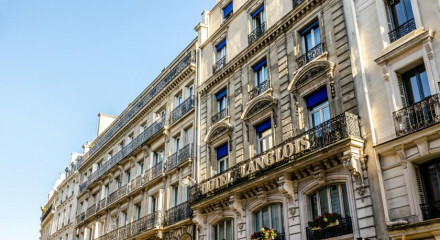 Most of our guests like to come for the excellent location of our hotel, at the center of Paris, near the Seine river, Notre Dame Cathedral, Louvre and Orsay museum. Our Café Laurent with Jazz Music on week end, our Grand Salon with is fireplace and our service in general are part of our guests interest too. 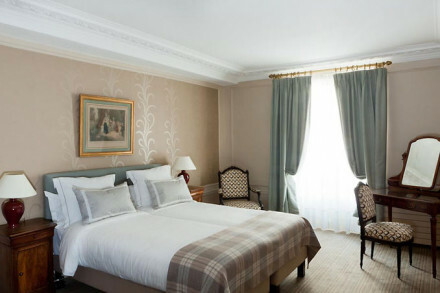 Some of our frequent guests said call Hotel d'Aubusson their "home away from home". In the area, there are lots of Art and Antique galleries, excellent restaurants and good shopping places. The Louvre is at about 10 minutes walk from the hotel, Orsay at about 15 minutes walk, Notre Dame Cathedral and Sainte Chapelle are at about 15 minutes walk. Our Concierge can propose different tours with guide, some cooking lessons, private drivers services and can answer many other requests our guests might have. We do propose continental breakfast with fresh pastries and bread, fruit juices, fruits, yoghourt, cereals and hot drinks but we also propose eggs, bacon, fried potatoes, spinach and tart. We do have a 24hours room service with a short selection of things to eat. Our Concierge is available for any suggestions our guests might need. Our Grand Luxe and Junior Suites are the most popular rooms as they are larger than our other categories. They can being made as a Twin, some are located on our courtyard, and some others do have 17th century style with beams ceiling. 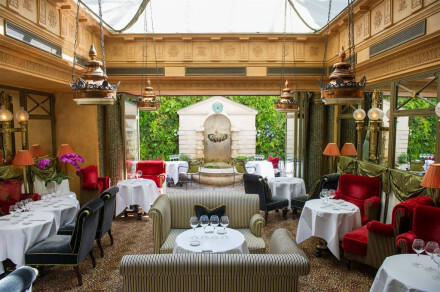 "With its grand carriageway entrance and tapestry-hung salon, Hôtel d'Aubusson is one of those places that brilliantly captures the history of St-Germain-des-Prés."